Taking your grandchildren on holiday can be an excellent way of bonding and spending quality time with them whilst also allowing your son/daughter and their partner to have some rest and a break away from the demands of parenting. 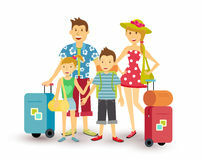 But, taking children on holiday can be stressful, and you might be in for a surprise if your last family holiday was years ago when your own children were little. To make sure that you and your grandchildren have a fun holiday that’s as stress-free as possible, we’ve put together these top tips. Making sure that you’re fully prepared for any problems of boredom or travel sickness on the flights to and from your destination is one of the most important things you’ll need to consider when you’re taking your grandkids abroad. Children can get travel sick easily, so make sure that you take any medications that they might need and have something that they can use in the worst-case scenario if they have to throw up and can’t get to the bathroom. Toys and games are also essential to keep them occupied, so make sure to bring items such as coloring books and crayons, puzzles, or even an iPad loaded with fun apps and games for them to play. You might also want to consider booking a late flight, so that the kids can sleep on the way. 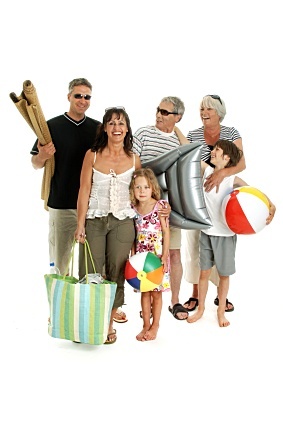 When it comes to packing, your grandkid’s parents will probably do most of it to make sure that you’ve got everything their little one needs when you take them on holiday. You should be sure to have plenty of sun safety items, which is essential to make sure that their sensitive skin doesn’t get burned by the hot sun – painful sunburn can turn a fun holiday into a horrible experience. Don’t forget to pack sun hats, sunglasses, and loose-fitting clothes that cover little shoulders and legs for the best protection. It’s also a good idea to take along toys and games to play with on the beach, such as a blow-up beach ball, bucket and spade or a tennis set. Deciding where to stay when you take your grandchildren on holiday largely comes down to looking at the places which offer the best facilities for kids. Picking a child-friendly destination is going to make your holiday far easier, plus you’ll have the added benefit of a quieter holiday as you’ll be surrounded by other guests who are also groups of parents and grandparents with children. Finding a hotel that has a kid’s club, children’s entertainment, a kid’s pool and other facilities will ensure that your holiday is both safe and enjoyable for the children as well as being relaxing for you. Another thing you’ll want to look into is how easy it is to see a doctor or reach an ER while abroad. A medical check up in Bangkok is quite easy to receive, whereas if you choose to stay somewhere off the beaten path, you may struggle to find healthcare if you need it. And with children, you can never be too careful. This entry was posted in Family Vacations on 04/01/2019 by taksumbu seletmu. Download your free of charge guide, get the official app or request a copy by mail under, and start planning your one-of-a-kind South Carolina adventure today. Orlando, Florida has no shortage of entertainment… it’s the trip mecca for thousands of American households annually, and a large international draw. Take your adventure to new heights in the mountainous Upstate, and see for yourself why South Carolina is the excellent place for a loved ones adventure. If you and your loved ones members enjoy beach vacations, you can program a trip to Goa in India, Florida or the Caribbean Islands and soak up in the sun even though lazing on the white sandy beach. 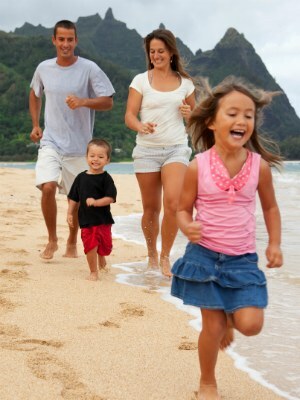 There is a lot to do that incorporates the whole family even though avoiding the rapidly paced life. If prefer vacations by the water, destinations include Alabama’s Gulf State Park and Wisp Resort in McHenry, Maryland. So When you think about packing your bags this Spring when you’re so sick of Winter , take into account a single of these wonderful household friendly east coast holiday destinations for a trip you will not forget. This could look boring, and the youngsters could protest that this is the worst of all household vacation concepts, but once they are out there it is difficult for them to not have enjoyable exploring. You can browse the net for pre-planned wildlife itineraries in Kenya for the whole family that come at a low expense of £510 for 8 days excluding the value of air tickets. Your family will always bear in mind this river and beach customized Costa Rica adventure! It was enjoyable when the little ones were smaller and they got so considerably out of it, and our loved ones is a pretty patient group, but now I have teens. Pack your bags and pack in entertainment for the complete household at our countless attractions. Discover California ‘s scenic coastal towns, have enjoyable at Disneyland, tour Hollywood and verify into a full service spa resort for a few days of pampering and relaxation. This entry was posted in Family Vacations and tagged america, holiday, loved, spots on 25/11/2018 by taksumbu seletmu. Taking a loved ones getaway is an ideal way to devote some quality time with your close to and dear ones and making memories of a lifetime. Warm weather, sunshine, palm trees and with no city farther than 75 miles from the coast, Florida is a veritable paradise for family holidaymakers.Florida beaches are identified for their soft silver sands, marvelous shelling and exuberant waves best for surfing. A image I created in Photoshop making use of the word Texas and a gorgeous image of the field of Texas bluebonnets. Swimming in the warm blue waters on Clearwater’s Gulf Coast is a refreshing pleasure for children and grown-ups, and the wide shores right here offer ample space for playing on the beach, as well. The Florida Keys is a should go to tourist attraction for households holidaying in Florida. Our family members of 4 can fly from Atlanta and keep four days, three nights in the course of the off season for about $3000. Maintaining in mind that all factors are at least somewhat relative, here’s one particular technique for arranging and enjoying a loved ones vacation without selling a kidney – it’s two words: all inclusive. From toddlers and tweens to teenagers and grandparents, we can tailor a family members getaway that will to cater to all ages and tastes. Family members ski trips can be fantastic fun and there are many unique destinations to decide on from. Bear in mind Florida is one of the excellent family trip destinations in view of its salubrious climate, host of tourist-friendly attractions and several pleasant lodging alternatives. Verify out the video below on a single of the #1 East Coast Vacation Getaway Destinations in Myrtle Beach, South Carolina. Learn the exclusive variations amongst South Carolina’s 3 essential geographic regions, where you will constantly find Southern hospitality. This entry was posted in Family Vacations and tagged company, names, travel on 20/10/2018 by taksumbu seletmu.